Snowmobiling is a fun and thrilling winter activity, but unfortunately, the heavy weight of these machines has the potential to cause serious damage and injury. Even the most experienced driver can find themselves involved in an accident and suddenly facing significant financial loss. This is why it’s important to talk to an insurance agent about getting adequate protection. Here is a basic guide to snowmobile coverage. Most snowmobile insurance companies offer a wide variety of coverage choices. A standard policy may include liability to cover bodily injuries and property damage you cause to someone else in an accident, collision to cover repairs or replacement for your snowmobile if it’s damaged in a crash, and comprehensive to cover your losses due to any non-collision incident, such as fire or theft. Optional types of coverage to consider are underinsured/uninsured motorist, roadside assistance and towing, medical payments, transport trailer, and after-market parts and accessories. The amount of coverage necessary to sufficiently protect you and your snowmobile investment will be contingent on your circumstances. Your insurance agent can help you figure out how much coverage to purchase by evaluating the value of your machine, how often you ride, and your state’s requirements. You should also check if you have any existing coverage through your homeowners, renters, or car insurance, although snowmobiles are generally excluded from these policies. 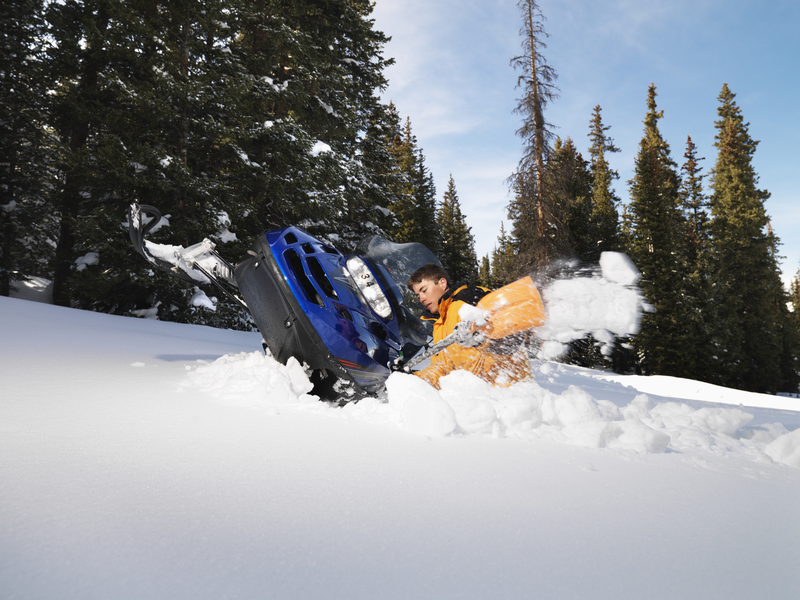 Your premium cost for snowmobile insurance will depend on a variety of factors. In addition to the coverage and deductible you select, insurance companies will calculate the price you pay based on where you live and ride, your age, the make and model of your machine, how you use your snowmobile, and if you plan to ride with passengers. Additionally, discounts may be offered for insuring more than one snowmobile with the same provider or taking a driver safety course. The majority of insurance companies that offer coverage for cars, motorcycles, and other recreational vehicles also have snowmobile insurance available. Thus, your insurance agent will find quotes for you quickly. Be prepared to provide your address, past insurance information, and details about your snowmobile. If you have questions about purchasing coverage for your snowmobile, consult a knowledgeable insurance agent at Cundiff & Company Insurance. They will help determine which options are most suitable for your needs and take care of all the legwork involved in comparing policies and prices. As an independent agent, they will provide you with unbiased advice and access to many reputable providers who offer top quality products. To request a no-obligation quote, call their Somerset, KY, office at (606) 679-8379. You can also visit them online to submit your inquiries.